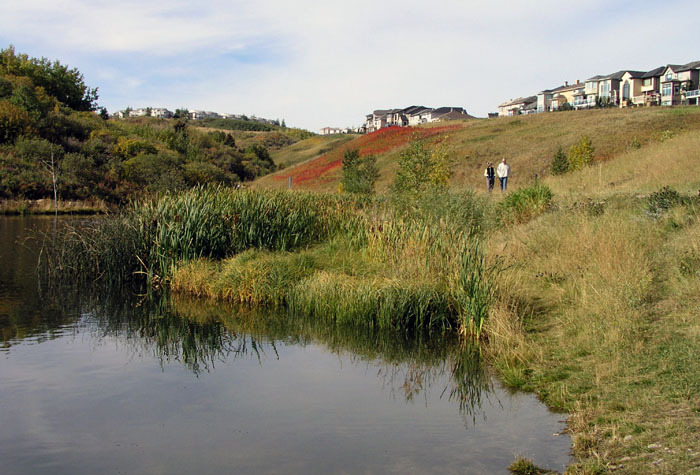 This extended detention wetland for the treatment of urban runoff was designed within the volumetric, budget and land dedication parameters of a previously planned dry pond. 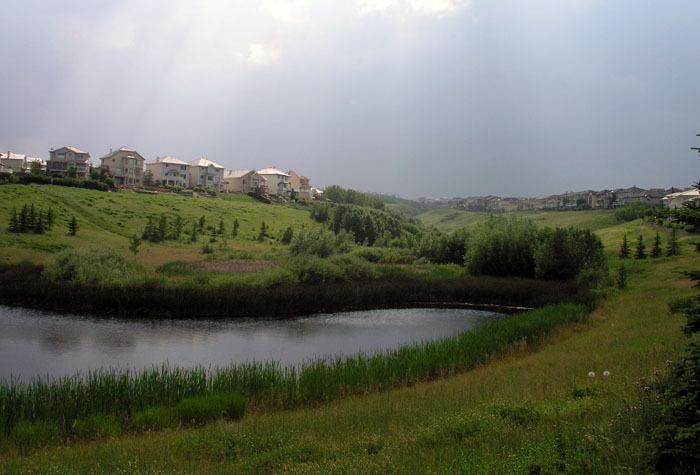 The design employs an environmental design concept that is new to Western Canada, that is, using an extended detention sedimentation pond to provide sustained subsurface flows to a floodable thicket area, also within the wetland. 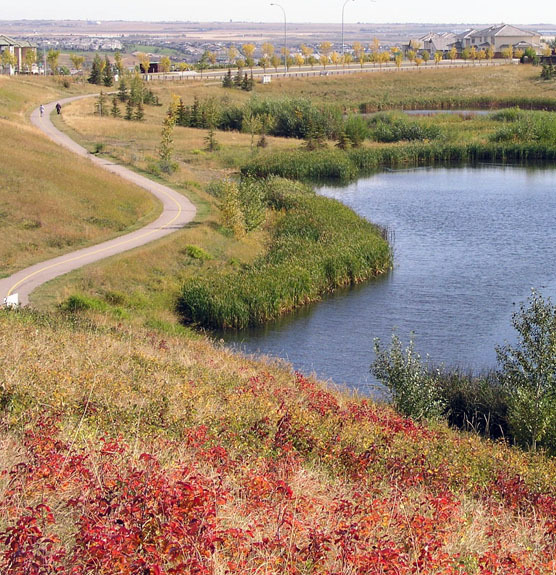 It is also the first constructed fen wetland in Alberta (perhaps in Canada). 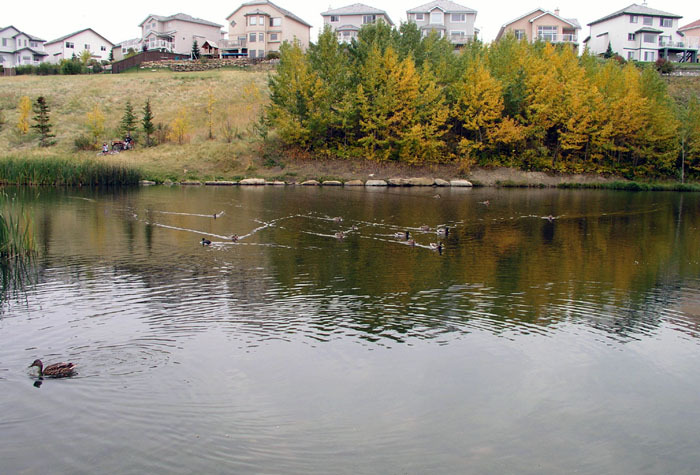 This subsurface flow zone provides effective contaminant removal over an extended season. 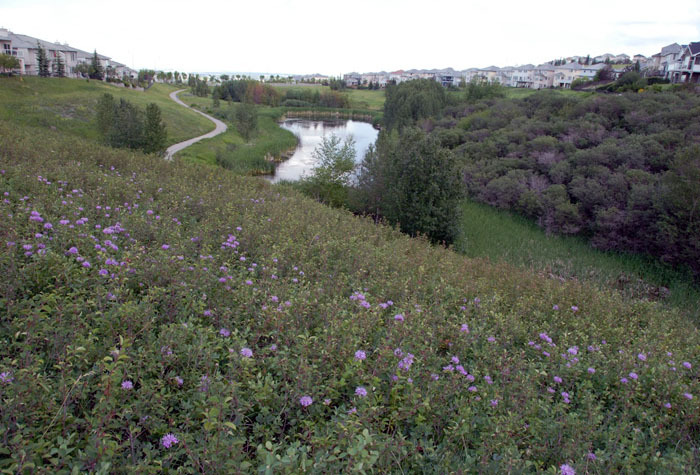 The design has also resulted in significant wildlife habitat and consequently passive recreational benefits. 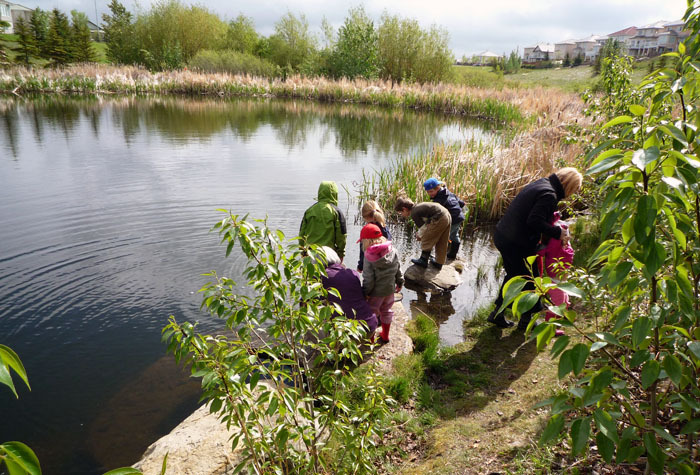 It also demonstrates the capability of natural process stormwater treatment to operate with minimal operating and maintenance requirements, which greatly reduces life-cycle costs. The project was completed in 1996.